I am back after the long festive holidays. I had the chance of cooking a couple of dishes and this is one of them. My mum cooks this dish quite often too. I guess it’s because it is quite easy and simple to cook. 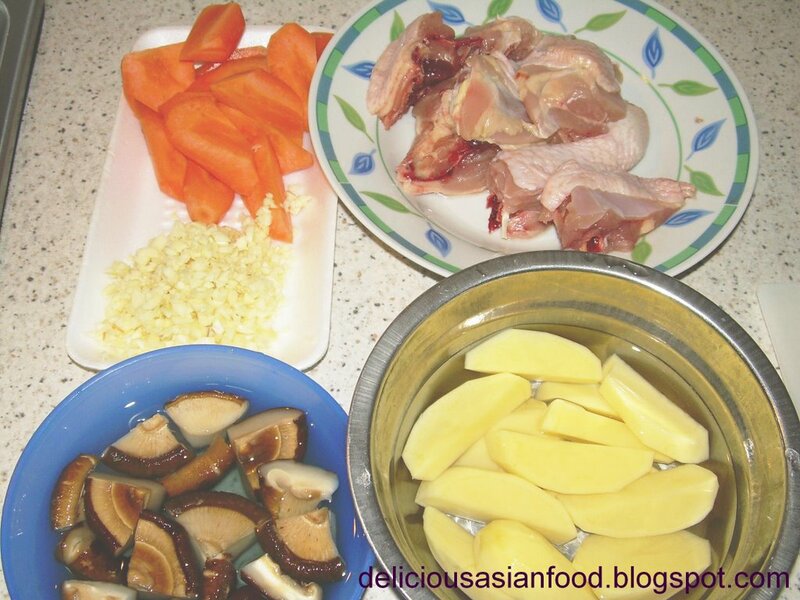 I usually remove the skin of the chicken prior to cooking this dish for health reasons. Furthermore, I don’t like the dish to turn out with a layer of oil. In the picture below, I have yet to remove the skin. Once you have mastered this dish, you can experiment with the ingredients – eg. adding baby corn, different types of mushrooms, celery etc. 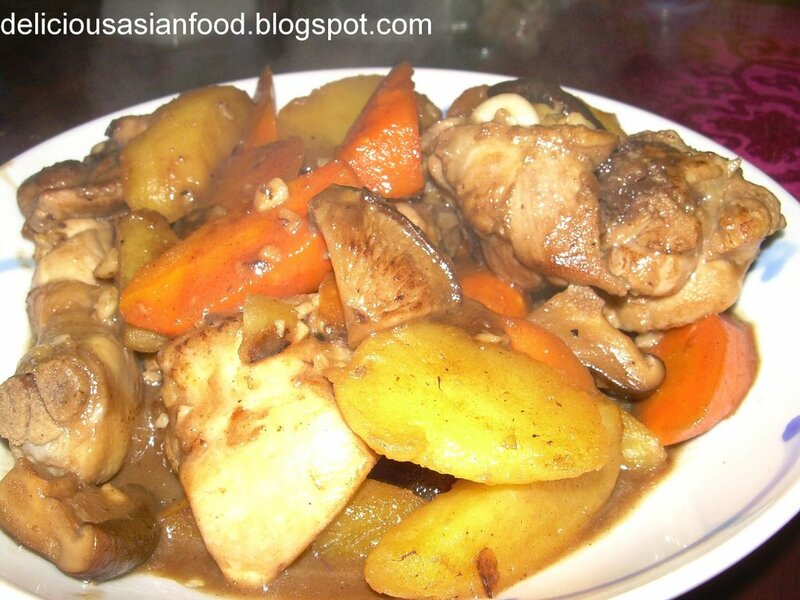 This is my recipe for Chicken with Potatoes, Carrots and Mushrooms. Marinade chicken for 30 – 60 minutes. Meanwhile, heat oil in wok and fry potatoes till golden brown. Remove fried potatoes from oil. With remaining oil in wok and at medium heat, saute the chinese mushrooms for 1 minute. Increase to high heat and add chicken and garlic and stir fry for another minute till outer layer of chicken is cooked. Add fried potatoes and carrots and continue stir frying for another minute. Add seasoning and water and close lid. Cook for another 3 minutes or until chicken is thoroughly cooked. hi, may i know this is for how many pax?